See scan - perfect condition. 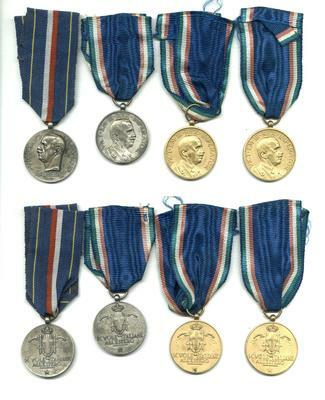 This is a nice and rare group of 4 Italian Royal SCUOLE ITALIANE ALL' ESTERO sterling Silver and gold plated (2nd and 1st Class) King Vittorio Emmanuele III (Victor Emmanuel III) medals group. 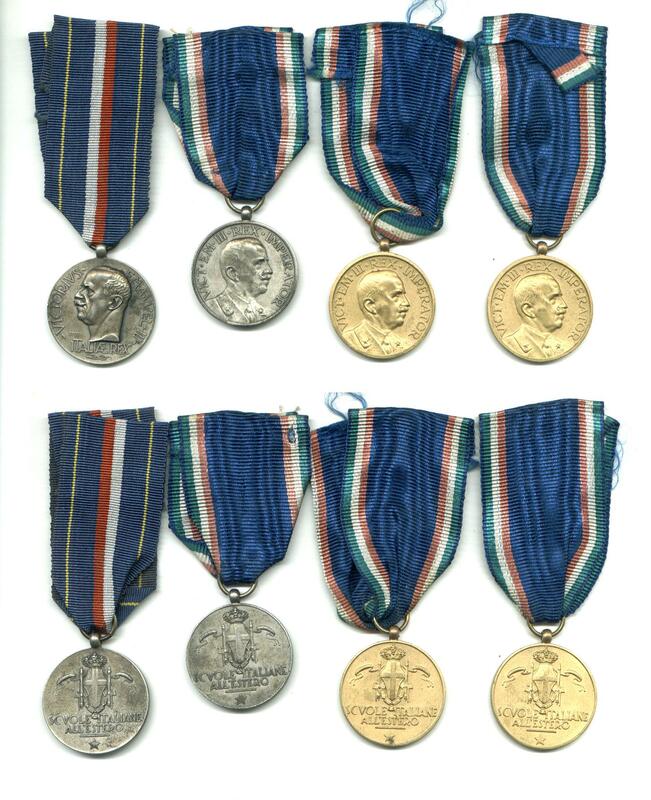 The set consists of 2 silver Class and 2 Gold Class medals. 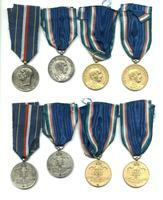 Scarce and nice collector set and some of the nice WWII Italian medals.